What is the future of Kitchen Appliance Segment and further Advanced Technology? The built-in appliance industry size in organized sector in India is assumed to be almost 650 -700 Crores consisting of Chimneys, hobs, built-in ovens/micros/dishwashers etc. However, in Gas Cook tops the total industry size in organized sector is assumed to be about 1000 Crores plus. According to a recently published report by TechSci Research the kitchen appliances market in India is projected to grow at a CAGR of more than 25% during 2014-19. The demand for kitchen appliances is expected to grow on account of more disposable income, expanding base of middle class and affluent consumers who are fairly young and love to cook. Today's new generation customers are willing to spend well hence they want to have the best good looking new products when they look to choose appliances for their kitchen. The growing upscale urban customer has travelled the world and seeks the same level of premium products that are available in global markets. Since kitchen is a very integral part of their home, given consumer lifestyles are changing and with rise in disposable incomes and urbanization on the rise the potential in kitchen appliances are huge with people willing to invest even a little extra for better products to bring the desired benefits in their lives. Money is not a barrier for them. Overall it’s a happy hunting opportunity. Companies are adopting product launches, acquisition/ partnership as strategies, in order to expand their reach and gain a bigger market share. â€‹Top â€‹Brands like KAFF, â€‹ELICA and FABER â€‹and fast emerging brands like GAMLE â€‹are coming up with new and innovative appliances that consume less energy and are easy in use. Kitchen appliances are among the devices that in recent years are presenting some of the most important innovations, both we speak of the preparation and cooking of foods and of the fumes suction. Technological evolution is transforming the supply of products such as hoods or hobs, which become more and more hi-tech and connected. In addition, manufacturers of major and small appliances have conceived new devices that meet the need of consumers to live better: among the most advanced cook tops, as well as electric kitchen chimneys. The kitchen and cooking sector has evolved significantly in recent years. Electronics applied to hobs, both gas and electric, is arousing more and more interest and new technologies for cooking, such as induction, are finding a growing number of admirers. The life cycle of products has been considerably shortened and accordingly, the need for a continuous renewal is more than ever felt. Today it is essential to keep pace with the changes taking place and to do that we need to anticipate the market trends, proposing effective solutions that are satisfactory for the end consumer. The main drivers that we are following and that in the coming months will be fundamental for the development of the new generation of Gamle products are: efficiency, technology, environmental impact, comfort and practicality to ensure the user a new experience. For Example, Chimneys are in a phase of strong innovation with kinds of installation that, until a few years ago, were unthinkable. The entire product element continues to be updated with advanced materials, more efficient motors and intelligent control systems. To design, which expresses itself in more and more unique and surprising forms, are now added technologies deriving from consumer electronics. The â€‹motors have reduced noise with an improvement in power consumption. Products for the kitchen environment are increasingly performant, advanced and connected, and also in the next future, companies will focus on high-tech, efficient and intelligent appliances. Changed lifestyles are one of the driving factors. More people live in cities and in less space; there are more single households, people travel and get inspiration from all over the world, and they also might have less time. The kitchen has become the heart of the home. The appliances need to be functional and easy to use. This is one of the drivers for developing today’s smart and connectable appliances. The role of the kitchen in our abodes has changed dramatically over the years. 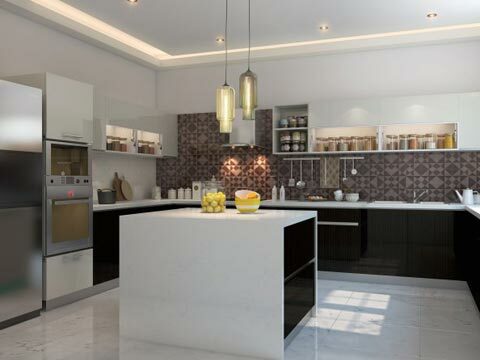 What used to be a space simply used for food preparation has now become the hub of the home. Today, cooking is accompanied by a greater variety of activities such as style statement, socialising, dining, etc. As our use of the kitchen has changed, the technology that is used within it has had to adapt to meet our needs. Nobody knows what the kitchen of the future will look like but with each new technological advancements the realms of possibility are extended ever further. The article has been pen down by Sanjeev Dayal, Managing Director & CEO, Gamle Appliances.